If you’re starting out you can develop the core skills in designing and making jewellery on our Foundation Certificate in Jewellery. You’ll gain excellent grounding and plenty of practice too in the skills that underpin every jeweller’s practice at the bench. Perhaps you already have a sound grasp of the basics? In this case you can further extend your jewellery design and making on the Intermediate Certificate in Jewellery. Here we give extended focus to your creative development, in tandem with more complex skills and techniques. 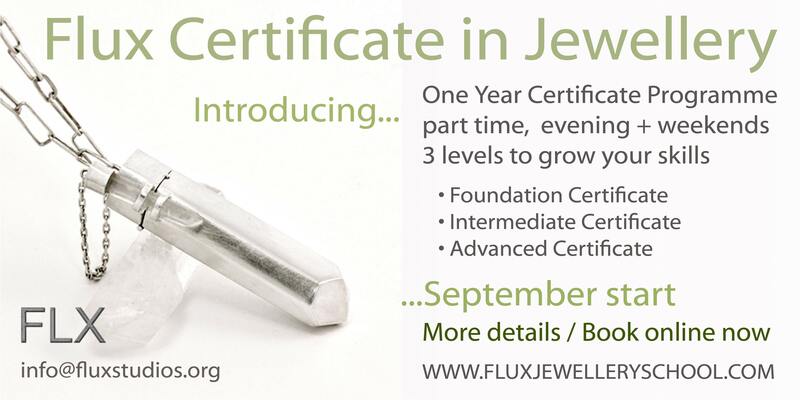 And if you’re ready to take the leap towards professional practice, our Advanced Certificate in Jewellery is for you. This course provides you with fantastic support in the creative development of your collections. In seeking to identify your niche, consequently we encourage you to explore production methods and marketing strategies. Both elements are particularly relevant to your burgeoning jewellery business. And another thing – you’ll complete your year’s learning with an exhibition of your work, so you can share your achievements and gain invaluable feedback from a fresh new audience. You can book directly on our website. Courses start in September. If you have any queries, please do email us in advance. Tagged Barbora Rybarova, casting, Classes, Courses, Evenings, Exhibitions, Featured, hot courses, inspiration, Rebecca Dockree, silver, stone setting, weekend, Workshops. Bookmark the permalink.